Counterfeits – counterfeit |ˈkountərˌfit|adjectivemade in exact imitation of something valuable or important with the intention to deceive or defraud : two men were remanded on bail on a charge of passing counterfeit $10 bills. See note at spurious .• pretended; sham : the filmmakers created a counterfeit world using smoke and mirrors.nouna fraudulent imitation of something else; a forgery : he knew the tapes to be counterfeits. An explanation, as to what this word means. But, do Christians, or those searching for God, take it to heart? Only God, can reach the heart. But how can one hear Gods true voice? And discern a counterfeit? To truly, know, what is truth. I believe, I know God’s voice, and I know His truth, and the difference between His truth, and a counterfeit. When thou art in tribulation, and all these things are come upon thee, even in the latter days, if thou turn to the Lord thy God, and shalt be obedient unto His voice; For the Lord thy God is a merciful God; He will not forsake thee, neither destroy thee, nor forget the covenant of thy Fathers which he sware unto them. Deuteronomy 4:30-31. Our world is in tribulation. We as believers, more so, should be in tune, to the voice of the Lord. In these times of tribulation. I believe we are in tribulation. There is great unrest, in this world we live in. Yes, as Christians, we should not be confused, or deceived, or unaware, of truth….but many are. And I hate to say this, but they cannot grow, to be who they should be, because many, are no more ahead, so to speak on the vine with Christ, because they are not sure of Gods true voice. They have accepted a counterfeit voice. Christ told us, that His followers, His true followers, would know His voice, and to another, they would not follow. Verily, verily I say unto you, He that entereth not by the door into the sheepfold, but climbeth up some other way, the same is a thief, and a robber. But he that entereth in by the door is the shepherd of the sheep. To him the porter openeth, and the sheep hear his voice; and he calleth his own sheep by name, and leadeth them out. And when he putteth forth his own sheep, he goeth before them and the sheep follow him, they know his voice. And a stranger will they not follow but flee from him: for they know not the voice of strangers. John 10:1-5. I propose to you, here, as you see this scripture, that any other Bible version, then the King James Bible, is a strangers voice. And whoever is using another Bible, is not hearing Gods true voice. With clarity, and with true discernment. Shocking huh? Well thats the way I see it. I see it this way, because I do not know the “strangers” voice, who sat in an office, and took the King James Bible, and added a word here, changed a word here, deleted a word here, and totally changed the context, to become a “voice” that is now the authority, as the Bible. I see it this way, because I do know my Lords voice, and it is distinct, and clear, and the confusion is gone. I see it this way, because before I stopped using the King James Bible only, I would get mixed-signals. Part truths. It was like hearing Gods voice with static on the radio. Sometimes, the message came in, and sometimes it did not. Sometimes, I heard things, I should not have heard, because there was interference. The devil was trying to block the word, and He knew I did not have the right Bible. Only God knows the heart. How do I know, that whoever was in authority, to change the Bible, from these publishing houses, to revise it, had the same intention, as God did? Especially knowing, Revelation 22:18-19. For I testify unto every man that heareth the words of the prophecy of this book, If any man shall add unto these things, God shall add unto him the plagues that are written in this book: And if any man shall take away from the words of the book of this prophecy, God shall take away his part out of the book of life, and out of the holy city, and from the things which are written in this book. There is a curse in that word. That in itself, puts the fear of God in me, and tells me not to be a part of that curse, by purposely reading, applying, meditating on, praying, etc. anything, that takes away or adds from Gods word!!!!! Knowing, we are not to add, or take away from Gods word! Why can’t people see this? The King James Bible, has been established for over four hundred years. In 1611, the King James bible, was established. And it has been in print, for over four hundred years. Making it the most, read, and authorized Bible for centuries. So why not trust its authenticity? Why? Because people think the revisions, will give them clarity for understanding. Instead, it defeats the purpose, because only God, can give interpretation. By His Holy Spirit. II Peter 1:20. Knowing this first, that no prophecy of the scripture is of any private interpretation. Here the Lord, specifies in His word, that no one can interpret it, but again by His Holy Spirit. You have to see this by His truth. Who is as the wise man? and who knoweth the interpretation of a thing?…. V2 I counsel thee to keep the King’s commandment, and that in regard of the oath of God. Be not hasty to go out of his sight: stand not in an evil thing; for he doeth whatsoever pleaseth him. Do I want to call other Bible versions evil? No. Only because the word of God is part there. But it reminds me of a radio, or an instrument, that has a tap on it. Or where it has been tampered with, and the signals are not clear. But I do not trust, the holiness, to be there. Or the power of God, to do great things. Because man’s carnal hands have changed the wording. There is a lot of history, that gives an explanation, of the many revisions, translations etc. But…You don’t think, or know, that God knew, that in the future, men, would take His Holy word, and avert it? Changing it, so they could have copyrights? Knowing they would claim copy rights. To change it, at any whim, and yes, for the sake of money. He wants you to see the root, of why they have changed it. Why doesn’t the King James Bible have copy rights? Because it is preserved. Psalm 12:6-7. The words of the Lord are pure words; as silver tried in a furnace of earth purified seven times. Thou shalt keep them, O Lord, Thou shalt preserve them from this generation forever. I truly believe, with all my being, God is testing those who will seek Him through His true word. He is looking for those who will teach through His true word, the King James version. etc. I believe God is looking for people, who can see through the facade of other Bible versions. That they put one and one together, and see the discrepancies. Why would anyone trust, a source, to believe, that another Bible is authentic. When, Gods word, says over and over again, to beware of those who would change it. Whose voice are you listening to? When you read another Bible version? Gods voice, or the voice, of someone who took the word of God changed it, rearranged it, modified it, deleted some of it, and who are these people? Whats their agenda? Are they Christians, scholars, atheists? hmmmm. This is something, you need to ask yourself as well? Whether you believe me or not, but I think it should be addressed. I think, a person, needs to search God even in prayer, to ask Him. Is this the Bible you want me to read? It is God’s voice, you are searching for, when you read your Bible. It is Gods voice, that you will automatically know, when your Bible is the King James Bible. Can you tell the difference? Even here I challenge you to test the Bibles. Read the King James, for a while. I know the difference. Between Christs voice, and a stranger. And I will not follow a strangers voice. This is not just history, or documentation, it is Gods voice. Gods truth, Gods ways, to show us how to live. But do you know Gods voice? Are you listening? Are you confused? Only you can answer this. When you see a prayer, or a commandment, this is God saying, this is what I expect, this is what I want to hear as well. But how do you know whats missing? 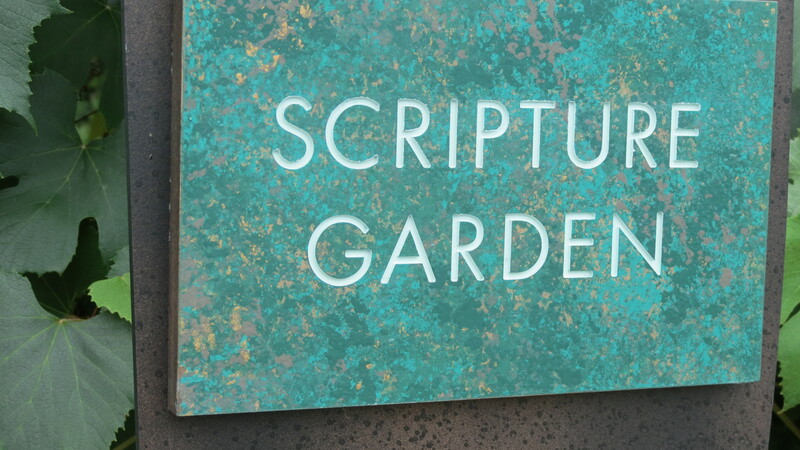 In my studies, I have found countless scriptures missing. From the other Bible versions. What if it was a word, you needed? God wants your mind, and heart, and yes voice, to be in tune to His voice, and mind, so you can know what is acceptable in His sight. But if you are reading, any other Bible, it is part truth. It is no longer pure. Yes, I know, the Bible has been transposed, and changed many times, but God has said enough! I write this, also as a testimony. And I have to be honest here, because it does attest to my belief, that we as Christians should only use the King James Bible. For a few years, in my Christian walk, with Christ, I experienced, a time of confusion. Thoughts would come to me, thoughts of confusion. Thoughts of doubt, thoughts, of fear, thoughts that sometimes, I have to admit, were unholy. And I wondered, where did that come from? Why was I thinking these thoughts? Should I not, be as a Christian, stronger, able to have a greater peace? What was it? I would try to battle these thoughts on my own accord. But when I discovered two years ago, the discrepancies, from the Bible versions, and I switched Bibles, to read only the King James Bible, my confusion stopped. My thinking took on the mind of Christ. It took on, truth, and faith, and hope, and love, from almighty God. I have no other explanation, but what the Lord showed me even recently. That people get a spirit of confusion, and this is where the devil blinds them, and they cannot get victories, healings, blessings, etc. because the wording is wrong. But their minds were blinded: for until this day remaineth the same veil untaken away in the reading of the old testament: which veil is done away in Christ. II Corinthians 3:14. Only Christ, can show you the truth, by His voice, as you go back to read the old testament, along with the new testament, of the King James Bible. God can only honor His word. His true word. Jeremiah 1:12 Then said the Lord unto me, Thou hast well seen: for I will hasten My word to perform it. This tells me, GOD will, honor His word. When I apply it to a prayer, a need, He keeps his promises. He is not a liar! But,when people, do not read the King James Bible, they are subject for attack in the mind. The battle is in the mind. Remember, we are searching for Gods spirit. But knowing that carnal hands, have revised Gods word, they have polluted it. How can anyone victoriously win a battle, with a Bible, that has been touched by carnal hands? To be carnally minded, is death, the word of God says. Read Romans 8. But when Gods word, that two-edged sword, is in place, it combats the enemy. Thats the only explanation I have. Well, in sharing with you, I believe, I also have a remedy, and a solution, a tool, for those who are willing to use Gods Holy word, the King James Bible. I submit to you now, that there is a tool, for those who need, or long for Hebrew, and Greek translations. There is no Bible out in the market right now, that I have seen, where you can readily go and buy that is the original text, from the Greek and Hebrew translation. But the King James Bible, does have a tool, that can be used, with it. A concordance. 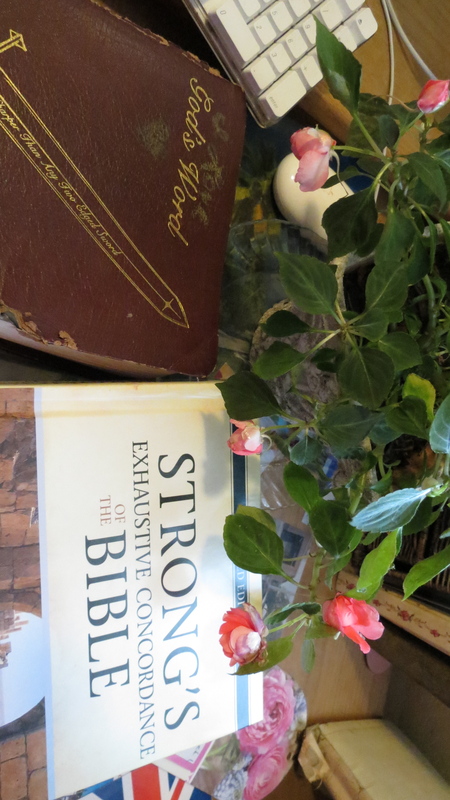 Recently, I found STRONG’S EXHAUSTIVE CONCORDANCE OF THE BIBLE. It has every key word, from the King James Bible for reference. But what makes this particular concordance, book very appealing is that it has updated, Hebrew, and Greek dictionaries, to find the definitions of each word from the original language, to give more depth, for understanding. But one cannot use any of the Bible versions, but the King James Bible, as a guideline, due again, to the transposing of the words, and the meanings are totally different. I highly recommend it, not only for the Greek and Hebrew dictionary. I recommend it highly, because we are in a time, where we need to meditate on Gods word, more and more. We need to sharpen our being, our senses, memorizing, and learning Gods word, it is so needed. Yes, I am careful, as I conclude here, to try myself, to only search for Gods pure word. To be aware of counterfeits, to be aware, that if I want Gods power, in my mind, and in my life, for all my needs, and to be conscious of what Gods will is, I have to discern, and choose wisely, Gods truth. I will not compromise, Gods truth, to please anyone. But God is who I must please, and to hear His voice clearly, I just know, that I know, the King James Bible is the Bible, I believe God wants us to use. To know Him, and to know His power, that is available. I share this truth, I believe, but it is up to you. I am adamant about this. It is not up for debate, or argument. This is what I choose, I am only here to make you think about it, and pray about it. You choose. I do not judge you, but I share this, so you can seek God, to find the truth? Do you really want to use a Bible, that has been altered, that may give you a spirit of confusion, with part truth, and part lies from the revisions, that is a counterfeit, and is not the voice of God? You can get a new radio. It is called…THE KING JAMES BIBLE. Contact me, to give a lecture on this subject, at your local church, congregation, or ladies group. All copyrights, preserved by law and God. Please read these other posts, I have written about the discrepancies in other Bibles, besides the King James Bible. THE BIBLE CONSPIRACY BETWEEN THE KING JAMES BIBLE AND THE NIV BIBLE (Scriptures, have been deleted, changed, omitted, compromised) Is your Bible still Holy? This entry was posted in Bible Conspiracy, Body of Christ, CHRISTIAN BLOGGERS WANTED, counterfeits, curses, danger, darkness, deceivers, Distinction, radio static and tagged ANSWER, Bible, christianity, God, guidance, Jesus, LOVE, photography, salvation, souls. Bookmark the permalink. ← DEMANDING RESPECT AND APOLOGIES TO BREAK THE CURSES IN YOUR LIFE….